Mixing up a delicious refreshing cocktail just got a whole lot easier with the Cointreau Cocktail Maker. I never really thought about Cointreau as the major ingredient for a cocktail before... I'd always used it mostly as an addition to mulled wine or for adding a touch of orange to desserts, most recently pouring it over crepes on Pancake Tuesday. Consider my mind changed... Or shall I say enlightened? The Cointreau Fizz is my new favorite sunny day tipple! The Cointreau Cocktail Maker set is available from all major grocery stores here in the UK and I recently spotted it at my local Waitrose. All you'll need additionally is a lime or two, sparkling water and some ice to make this delicious cocktail. Simply follow the directions on the side of the cocktail maker and you'll be sipping in no time. Pour the cocktail into a glass of your choice or simply add a straw and enjoy. 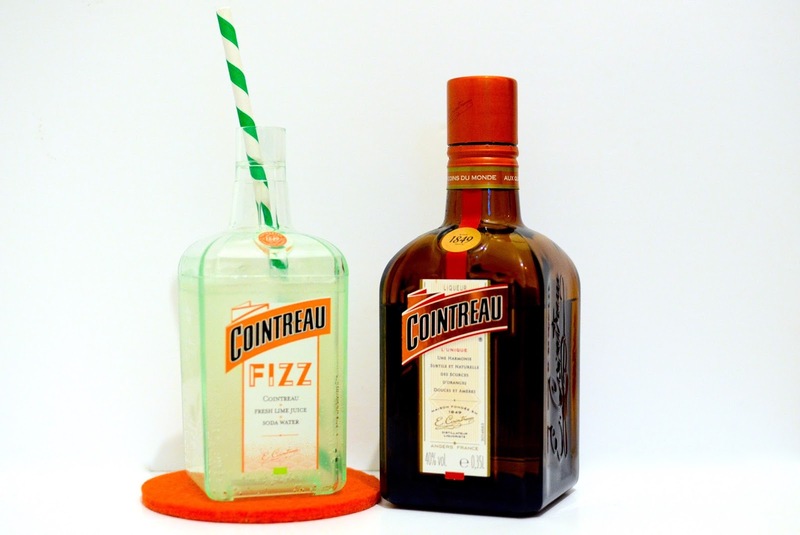 The Cointreau Cocktail Maker retails for £18.49 and includes a 200ml cocktail maker, a 500ml bottle of Cointreau and an individually wrapped straw.